As we mentioned in our previous post, Contact Tracing & Effective Infection Prevention, Real-Time Location Systems (RTLS) provide immediate or real-time tracking and management of medical equipment, staff and patients. RTLS and similar solutions are critical to taking proactive measures against the spread of infectious diseases. Accurate data means smarter, more timely decision-making: By automating important infection control processes such as contact tracing, healthcare facilities can turn to RTLS solutions to find assurance. RTLS technology gives healthcare organizations the confidence that potential exposure lists are accurate, up-to-date, so that monitoring and treatment are properly targeted. With this added support, healthcare executives are better equipped to fight the spread of infectious diseases more efficiently, comply with Joint Commission outbreak response standards of safety2, through greater visibility and less human error. 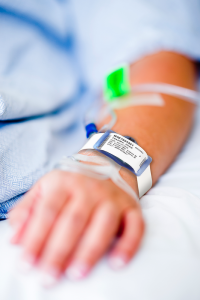 CenTrak’s Single-Use Patient Tag is ideal for patient contact tracing. Improved workflow for staff and patients, and during an outbreak, gathering that information can be as simple as logging into your application and downloading the reports you need. Analysis & communication are a lot simpler as a result. So what to do with all this data during crisis time? Well, a facility that has tagged all patients, staff, & assets can simply run a report which showed all team members’ schedules and location which leads to better communication and response. Tags which are fully enclosed, and can be fully immersed in cleaning solution are necessary to ensure no further infection risk. Automation not only allows for ease of recording, but also quicker more accurate reporting on this data. Information can be gathered immediately or retrieved later. Most customer-facing applications store data for up to 30 days. Enable more complex safety and security use cases, for example door and elevator locking systems. In an isolation-type scenario, access control can be enabled so that all patients, staff, etc. who have not been given specific tags are locked out of the hospital unit containing the infected patient to prevent unwanted contact.